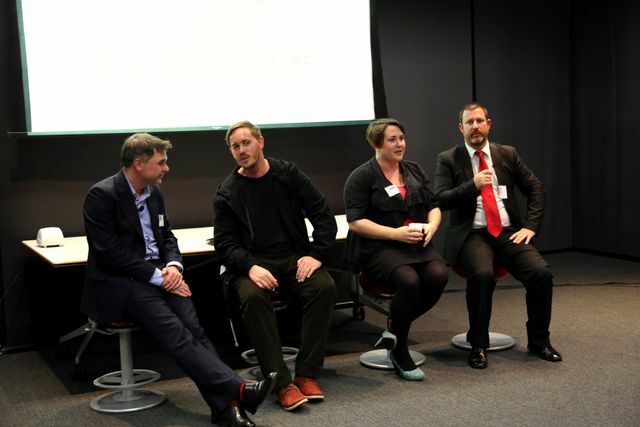 On Wednesday, I was lucky enough to be on Social Media Club Auckland’s When communities go bad panel, along with Anna Connell, Mike Kooge and Chris Keall. The panel. Photo filched from SMCAKL site. Being trolled is part of the territory for doing corporate social media. Of course, social media is just people. And some people can be dicks, bluntly. Basically, someone has to be prepared to cop it, and it’s kind of up to you to develop a range of coping mechanisms (hence my ‘harden up’ comment). It gets easier over time! Caring a lot is a bit of a pre-req for doing the job well and properly, but the downside of that is taking the nastier comments to heart and wanting to throw things against things so they break. The solution? Realise it’s not you, take breaks, make sure you’re well supported by your company. Easier said than done sometimes, but what’s the point of doing a job that’s easy, hey? Anna definitely kicked the crap out of me at pithy tweet-able soundbites. Nice work. And Mike showed there’s some excellent thinking and different knowledge out there beyond the usual voices. Well done. I was most impressed by Chris Keall’s ‘take panel questions from your phone’ paradigm. Typical innovation incubation on the fly by our top tech scribe. I realise I talked mainly about Telecom examples, rather than the new job (which is going really well BTW). That’s because I honestly haven’t been trolled very much at all in the new role – which is a nice change! The team going well is obviously a big factor, but even so, the ‘other distractions’ don’t seem to have generated much heat online. 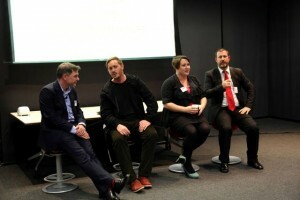 I haven’t been to SMCAKL for a while, but it seems to be on the right track, by the evidence presented on Tuesday night. Fair play and all the best to the organisers and sponsors, it isn’t easy putting something like this on. This is the first time I was trolled on the @telecomnz account, about a day after I took the job. Nice succinct summary she said in one of thsoe pithy tweetable soundbites. Please endorse me for that skill on LinkedIn. Can you bring SMCAKL to Wellington please? Oh. Wait. Hang on.